Only six of the top 50 selling models in Europe received a full model upgrade in 2017 and very few new plug-in cars were made available – undoubtedly contributing to the lack of progress in reducing car CO2 emissions last year. Just four of the top-selling 50 models are set to be fully upgraded by the end of this year, followed by 14 in 2019, and seven in 2020. T&E said that seven upgrades per year is typical for the top 50 selling models. 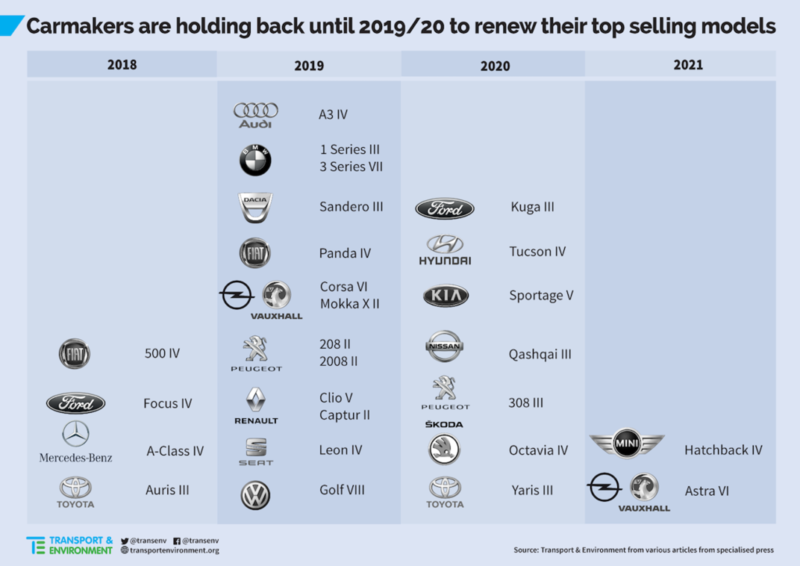 This tactic of continuing to sell old models for as long as possible makes it clear that carmakers are both optimising profits and trying to deceive regulators that they will struggle to hit the 2021 CO2 targets as the EU ponders new targets for 2025. But the price is being paid by car buyers – for whom more fuel-efficient models are not yet available – and by the planet as CO2 emissions from cars and vans continue to rise. 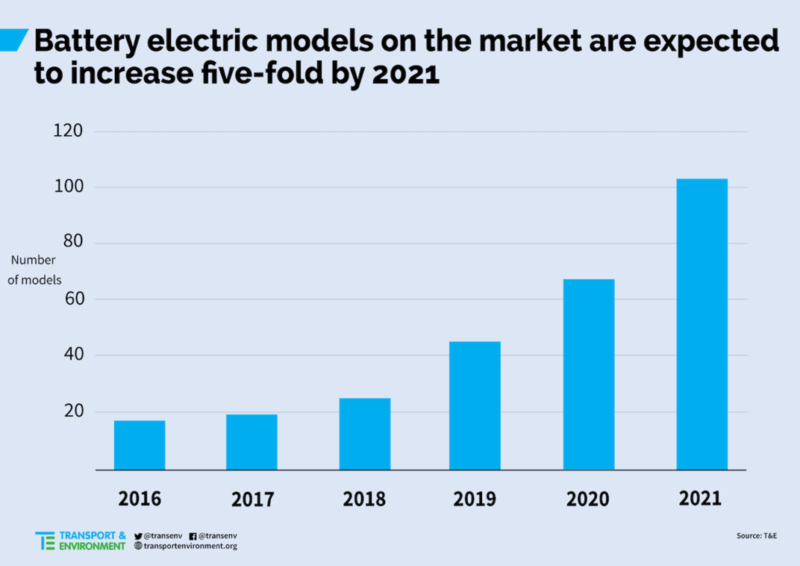 Manufacturers’ strategy to comply with the 2021 targets is to increase sales of battery electric and plug-in hybrid vehicles, and this is likely to increase their market share in Europe significantly to 5-7% by 2021, the report finds. But the analysis shows carmakers are also holding back the launch of new plug-in vehicles until the last possible moment. There are only 20 battery electric cars on sale at present but by 2021 this is expected to leap to reach more than 100 if companies deliver on their announcements. 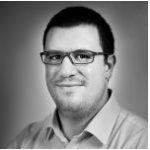 Cars and vans account for two-thirds of carbon emissions from transport, which is the highest emitting sector in the EU with 27% of total CO2 emissions. Transport is the only sector whose climate impact has grown since 1990. Also, last year the EU’s oil consumption – a good proxy for transport CO2 emissions – rose by 2%, the highest annual growth since 2001. The EU is currently debating a European Commission proposal for new car CO2 reduction targets of 15% and 30% in 2025 and 2030 respectively, but these targets would not be sufficiently demanding to enable EU countries to meet their binding 2030 climate goals. The analysis also finds that rising sales of SUVs – the market share of which increased from 4% in 2001 to 26% in 2016 – as well as more powerful engines have been largely responsible for rising car emissions. It also concludes that: declining sales of diesel cars are more than offset by the rising sales of much lower-carbon, alternatively fuelled vehicles; and, contrary to carmakers’ claims, more diesels and increasing fleet turnover increases the lifecycle emissions of CO2.